Gathering Inkspiration: Hang Your Stocking... Happiness is Coming to Town! Hang Your Stocking... Happiness is Coming to Town! The paper used on this card is just so darn cute! I love that smiley little gingerbread man and those cute mittons, how about you?? We made this card last weekend at our Hang Your Stocking Stamp-a-Stack Class. It was a big hit! There's one more Holiday Stamp-a-Stack Class coming up on Thursday, December 1 from 6-9pm. Check out all of the details here! We start our card with an Early Espresso card base, then added a piece of Whisper White card stock to our card. At the bottom of this piece, we stamped "Happiness is Coming to Town!" in Real Red ink (from the Hang Your Stocking Stamp Set). 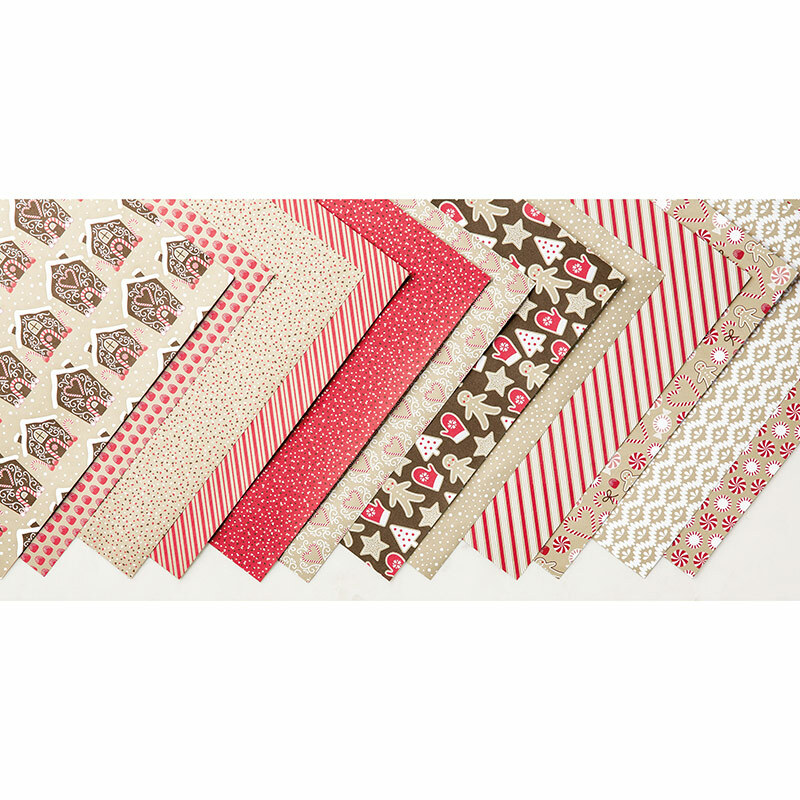 We also added a strip of the Candy Cane Lane Designer Series Paper to the middle of our card. Check out all of the designs on this paper below. Each one is cuter than the next! Next, we die-cute the two circles (the Real Red scallop circle and the Early Espresso circle) using the Layering Circles Framelits. 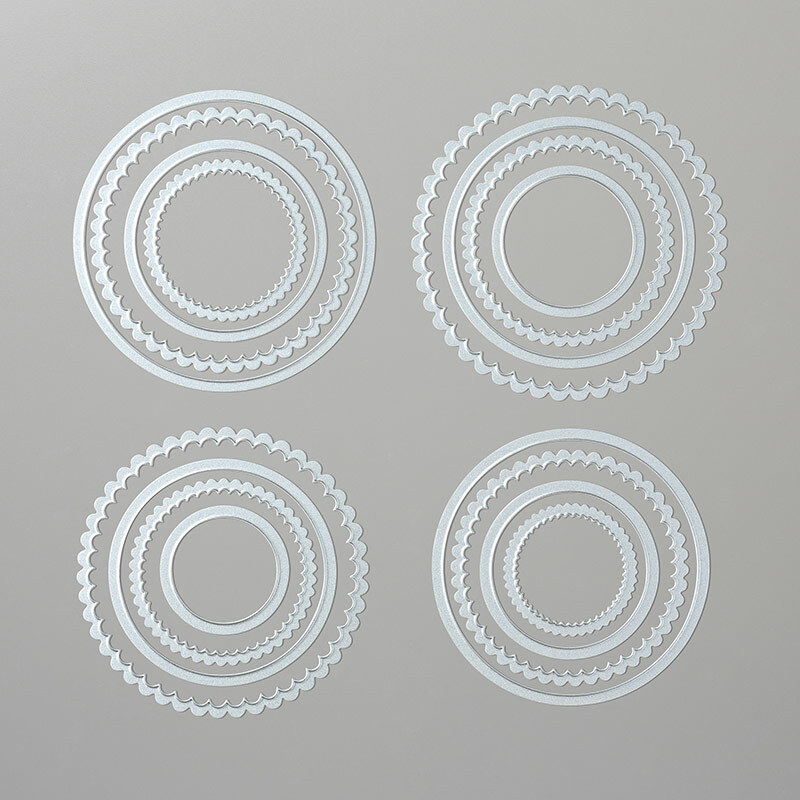 I think I use these circle framelits all the time - they are so versatile! Plus, I just love those tiny scallops on the Real Red circle! 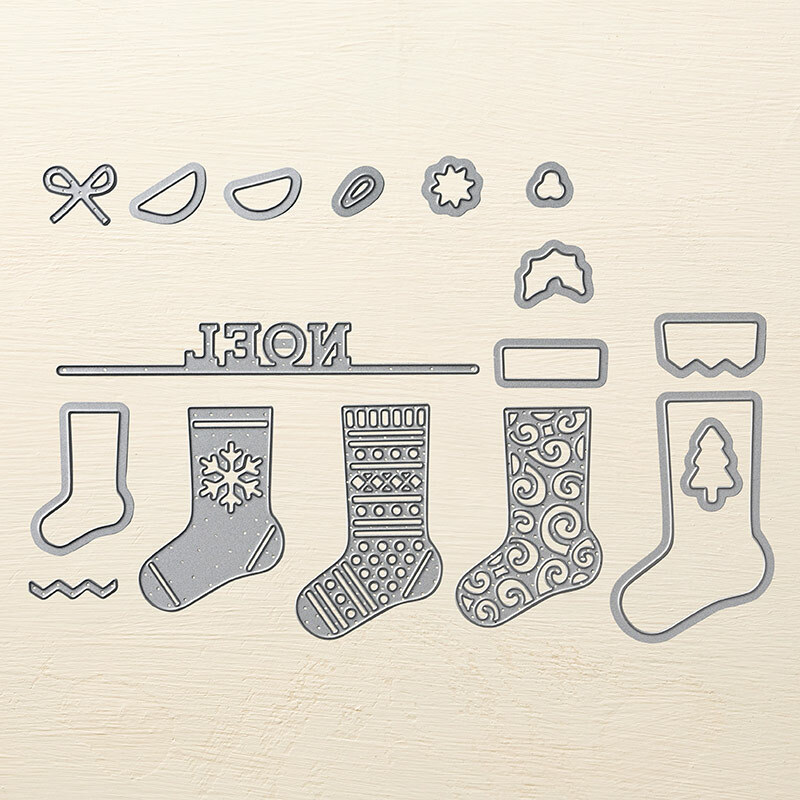 Finally, we stamped that cute stocking from the Hang Your Stocking Stamp Set and die-cut it with our Christmas Stocking Thinlits. You can purchase the stamp set and thinlits separately, or save 10% when you buy them in the bundle. And.. if you'd like to learn more about our next Stamp-a-Stack Class on Thursday, December 1 from 6-9pm, check out all the details here. Then, RSVP to me at amy.frillici@yahoo.com!